I think out of all of Matt’s sauces this has to be my favourite. 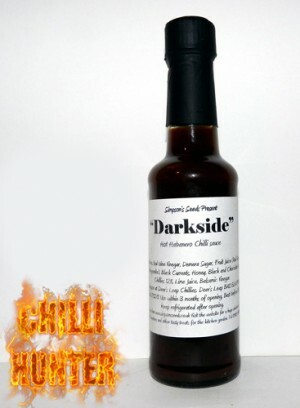 It’s a 12% black and chocolate habanero sauce with a rich fruity complex taste. A wonderful depth of flavour makes this one a little bit special. I’ve used a quarter of a bottle in one sitting, a little hotter and thicker and this could top the leaderboard. There’s not much to beat the taste though, a must try for any chillihead.